Track or forecast freeze-up and break-up of river ice cover to help manage water resources and assess flood risk. LOOKNorth's River Ice Monitoring Service leverages satellite-based imagery to monitor the ice conditions for any river on earth. Ice build-up on large rivers poses serious challenges for water resource management, hydropower generation and flood damage prevention. 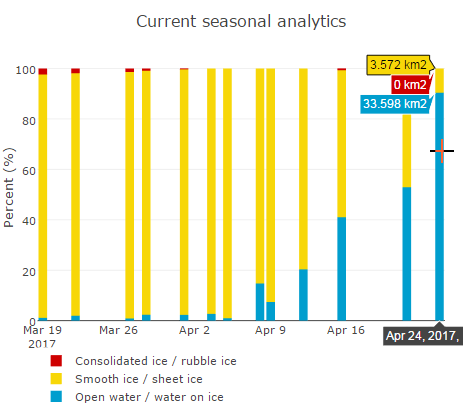 In order to assess flood risk and mitigate its impacts, this service allows customers to monitor build-up of ice covers throughout the ice season, with particular emphasis on the freeze-up and break-up periods. During freeze-up and/or break-up season, we download Synthetic Aperture Radar (SAR) satellite imagery up to 3 times a week over 100s of kilometers, we process these images in near real time and then provide the resulting information via our easy-to-use web interface. Many rivers are hundreds of kilometers long. 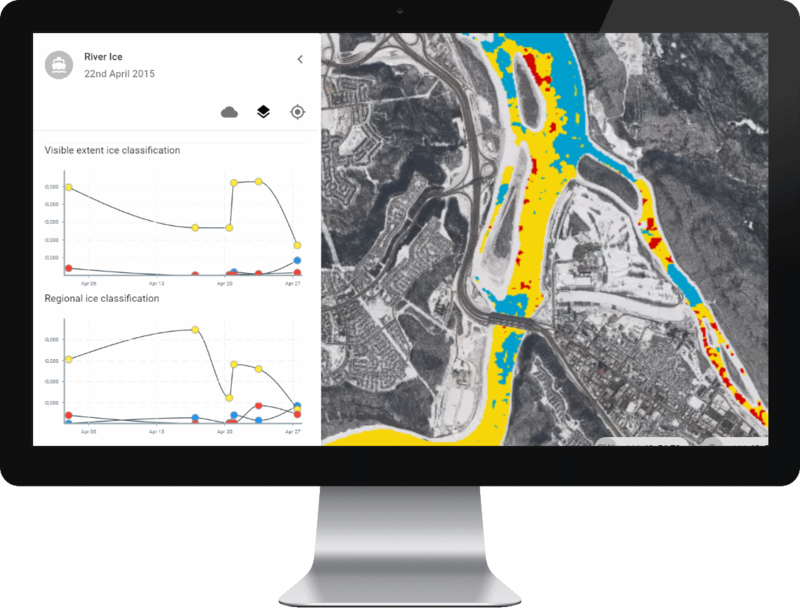 Using our web interface analysts can quickly zoom and pan to get a detailed view of any section of the monitored river to investigate known trouble spots. 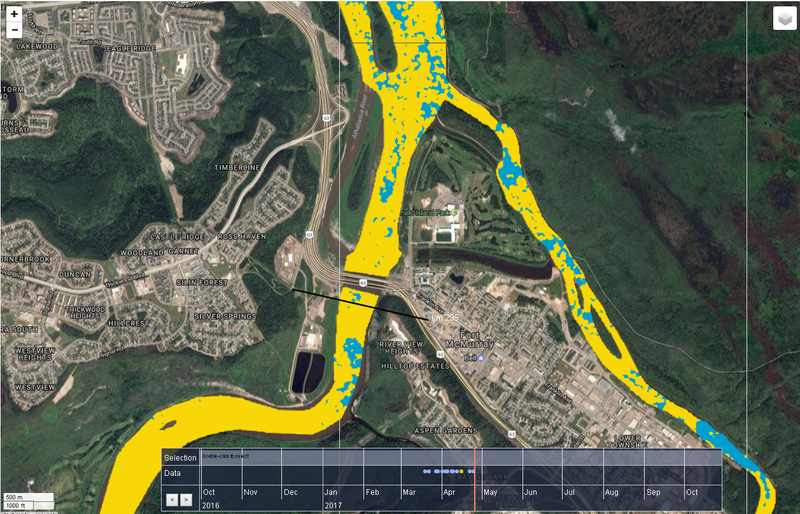 Using seasonal data of the entire river, hydrologists can quickly track the emergence of open water to help predict river break up, assess flood risk and provide proactive emergency measures for cities, businesses, and communities. Users can store past river ice seasons to detect longer term ice trends to aid development of river models to support prediction of ice break up or freeze up.